You are here: Home › Asia Pools › KERRY HOTEL, PUDONG, SHANGHAI Hotel Pool Takeover! This might be the coolest thing we have ever seen in a hotel swimming pool. 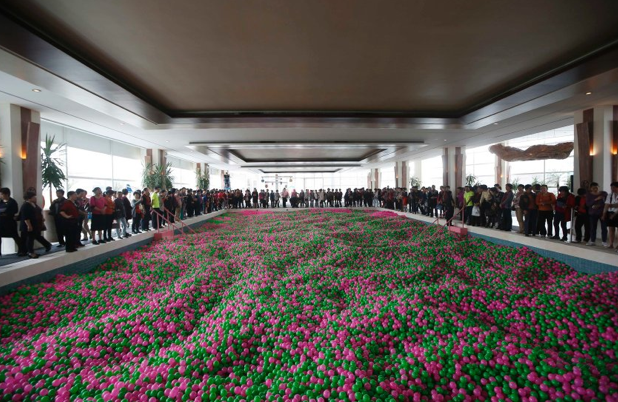 The Kerry Hotel in Pudong, Shanghai replaced the water in their pool with about 1 million pink and green plastic balls for breast cancer awareness. 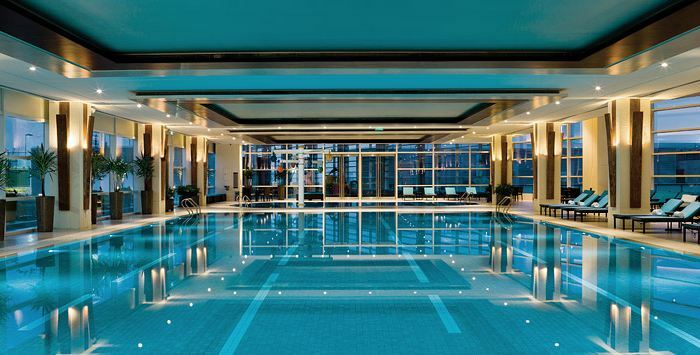 Click for more on Hotel Pools in Asia.